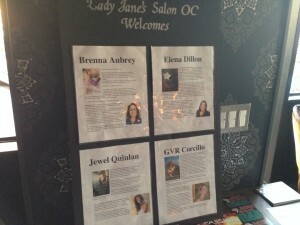 Lady Jane’s Salon has recently come to the southland. 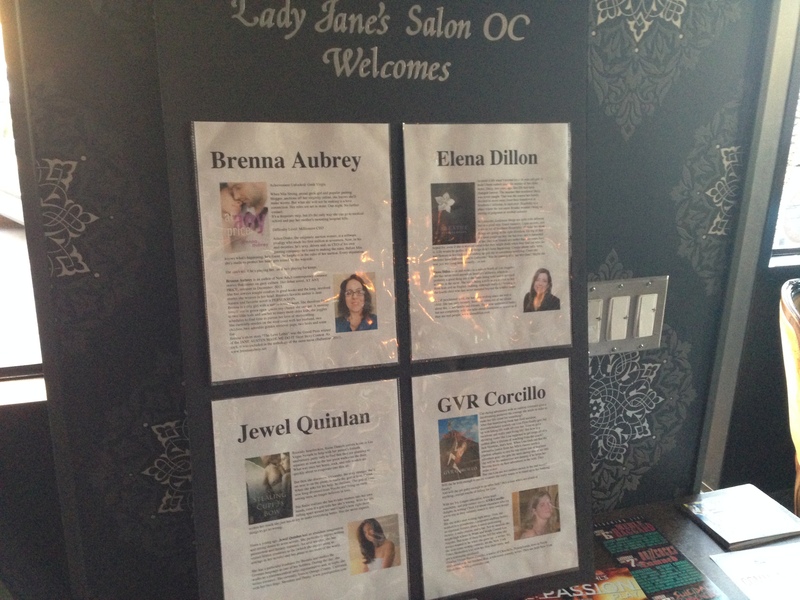 Lady Jane’s OC had its first meeting on Monday, April 14th. I attended and heard some wonderful readings by four local authors. If you are a romance fan, come check it out! 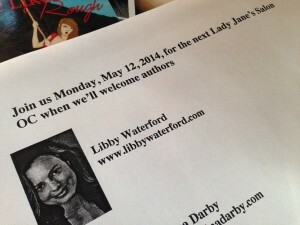 I’ll be reading at the next one, on May 12. Can’t wait to see you read next month! Thanks, Louisa. See you there!